First of all, Happy New Year to you!! I love the beginning of a new year. Of course, they come faster as I get older, but I still enjoy that feeling of a fresh start. It's a chance to re-evaluate goals for personal and professional life. I am not one for making resolutions, but I am an avid goal-setter. Whatever way you enter into 2013, I hope your year will be blessed! On to the January news from Close To My Heart. I have told you about the Whooo's Your Valentine special and even how you can get that free! Now I want to tell you about the Stamp of the Month, Happy Valentine's. Hang on to your hat, cuz it's a beauty! 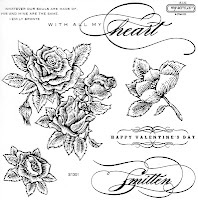 This set is filled with beautiful roses and delicate fonts. And who wouldn't want a set that has the single word "smitten"? This set is fabulous for using with our Alcohol Markers, but today I want to show you how lovely it can be using cocoa pigment ink. I used a sketch from Fetch a Sketch for this card, and I started out by stamping the large bunch of roses with cocoa pigment ink. Even though it is no longer available, I used Florentine paper for matting because it was just so perfect with these delicate roses. I sponged color ready seam binding ribbon with creme brulee ink, and added a couple of foundry pins. It would be very easy to color the ribbon with a creme brulee marker, too. So what do you think? It's a must-have, isn't it? Watch for many more examples this month - I love this stamp, and I'll show you many ways to use it. Of course, I have my four monthly club nights this month, but I have some other things going on, too. 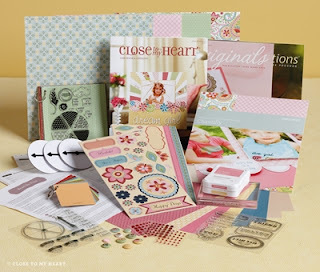 January Card Kit - I have just 10 kits left, so if you are thinking about this, you'll want to get your order in soon! The cost is $7 for 4 cards mailed directly to you, and the kit includes instructions and envelopes. CLICK HERE for more information and a payment link. 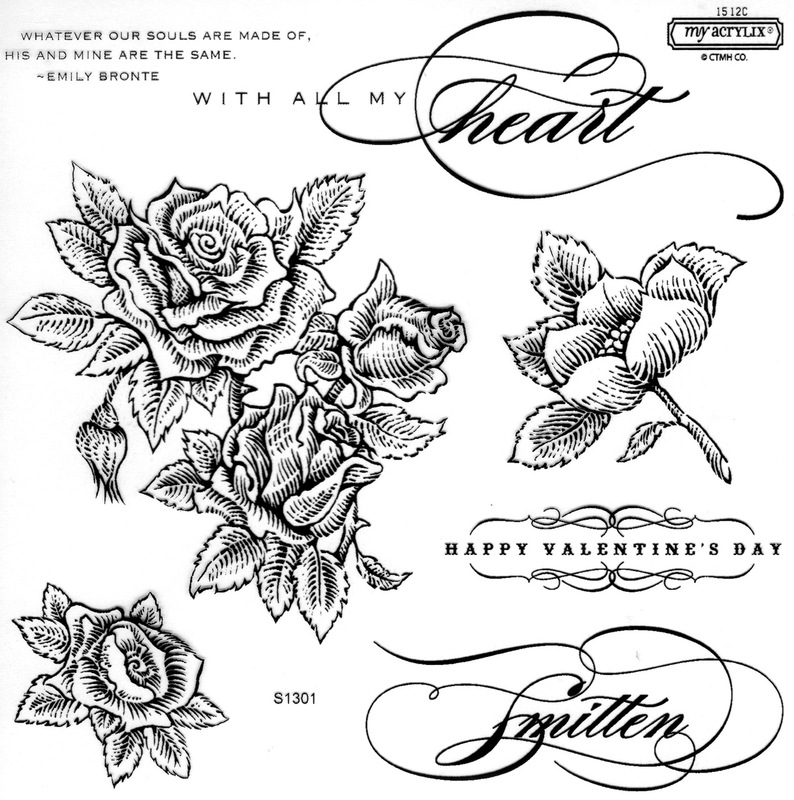 Cricut Artiste Class - This class is being held on Tuesday, January 22nd at 6:30 pm. The cost is $10, and all supplies are included in the cost. We will be making a one-page layout, 3 cards, and one gift box. Some things will be cut, but I will have you cut some of the items so that you can learn some of the buttons the Cricut. I want this cartridge to add joy to your crafting life, so I want to show you how! I am really looking forward to teaching you more in this class! Whooo's Your Valentine - This class is being held on on Sunday, January 27th at 4:00 pm. It is free when you purchase your Whooo's Your Valentine kit from me! Bring your basic supplies - tape runner, glue dots, pop dots, scissors, paper trimmer, and Liquid Glass. I'll have blocks, punches, and ink for you to use, and you can follow my examples or do whatever you'd like! There is so much fabulous-ness in this kit! Because I told you about it a few days ago, I am going to have you CLICK HERE to look at all the information again. I will just say that it is $49 well spent!! If you have any questions about anything, please don't hesitate to contact me!! As always, a gorgeuos card. The color combo is the "WOW" for me on this one! Love the newsletter too ... looks like 2013 is starting off in busy-bee mode! I love this with the blue and yellow. Gorgeous! Happy New Year! Gorgeous card and just the inspiration I needed to ink up that set. Your classes sound wonderful and again I wish I was close enough to attend each and every one of them!